With Wrawby Junction signal box in the background, 170635 takes the Lincoln line on 10 February 2003 with the 11:32 Cleethorpes to Birmingham New Street Central Trains service. 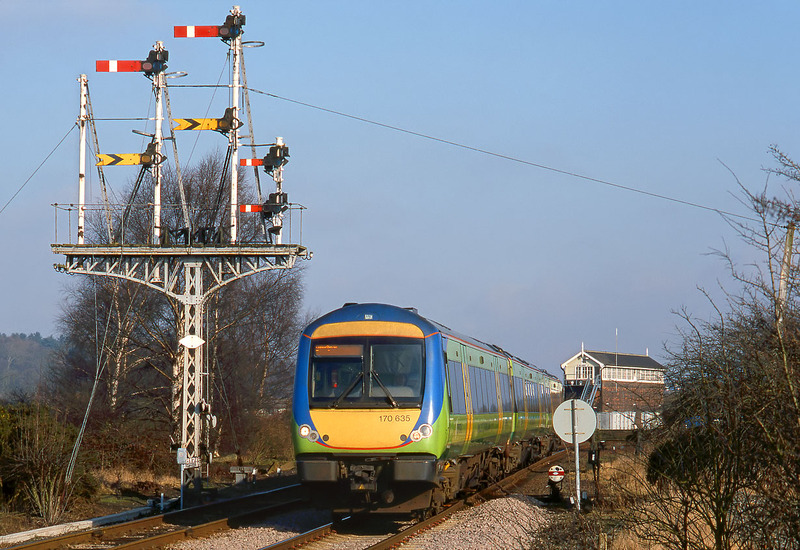 Unfortunately this impressive set of semaphore signals has since been replaced by a colour light, although even here it has lost the signal arms from the left hand post. Note the number of guy wires required to keep it an upright position, including the one that goes across the track to wooden pole leaning at a drunken angle in the hedge!